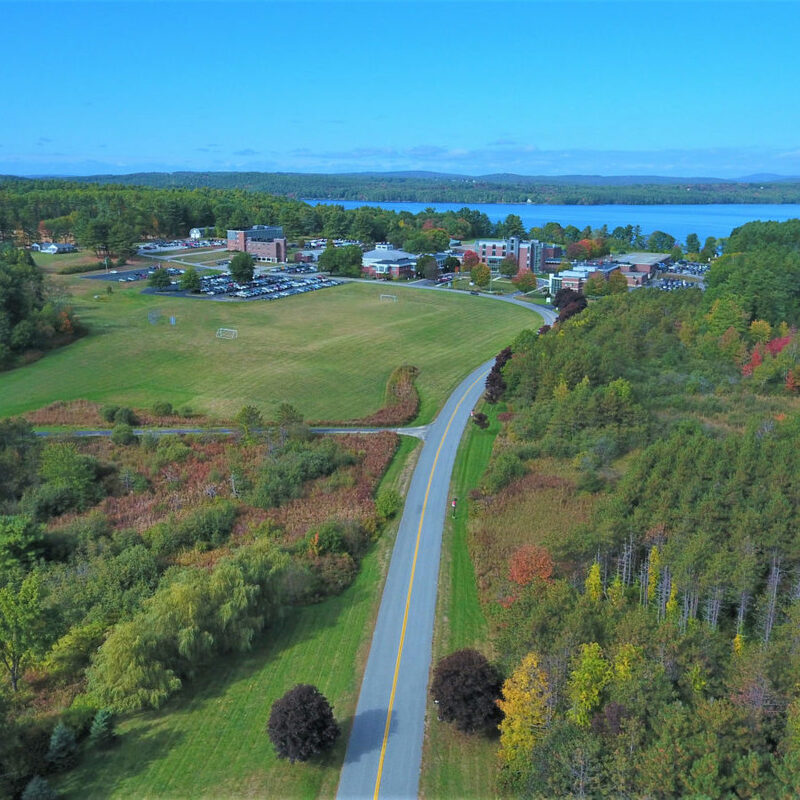 Our campus occupies a picturesque 135-acre site overlooking and bordering Lake Auburn—a great setting for learning and recreation, whether you live on campus or commute. CMCC is located in Auburn just two miles from the center of the city and close to many stores and restaurants. 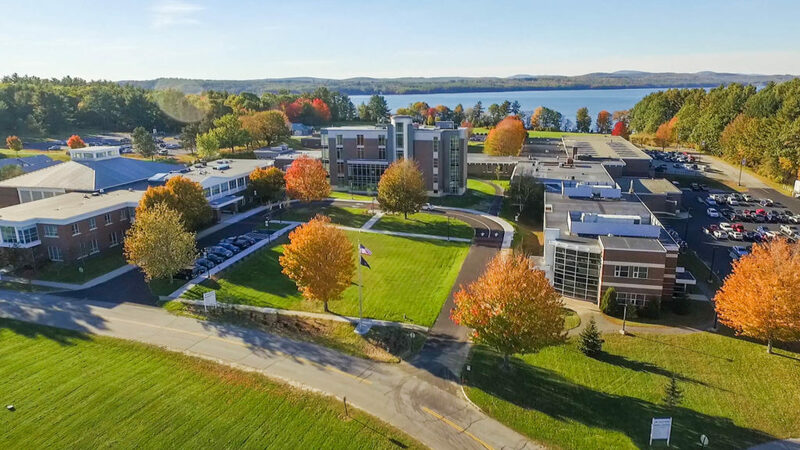 Our campus facilities include four main buildings housing academic, lab, technical, and student support spaces; three residence halls; Kirk gymnasium and fitness center; and the Culinary Arts Center. The campus is served by regular public transportation. As Maine’s second largest urban center, Lewiston-Auburn offers numerous opportunities for social, recreational, cultural and educational activities. Auburn is located in the south central region of Maine and is the Gateway to the Western Mountains. It is midway on the Maine Turnpike between Maine’s capital, Augusta and its largest city, Portland—approximately 35 miles from each city. From the exit turn left on to Route 4 following signs toward Auburn (and directional signs for Central Maine Community College). Go north for about 6 miles which takes you to Center Street. Continue on Center Street through town, past fast food restaurants, etc. Just under the overpass and before the Auburn Mall, turn left at the signal on to Mt. Auburn Avenue. At the next traffic light bear right on to Turner Street. Bear left to stay on Turner Street after you pass St. Mary’s health facility. The campus is about ½ mile ahead on your left. Go left on Alfred Plourde Parkway about .4 miles before taking the second exit onto Lisbon Street (Rt 196 West). Go toward Lewiston on Lisbon Street 1.2 miles to the 4th light and turn right on to East Avenue. Go about 1.4 miles and turn left at the 6th light on to Russell Street. Continue on Russell Street to the overpass. Take the overpass into Auburn and continue to the first traffic light (do not exit before the end). At the traffic light bear right on to Turner Street. Bear left to stay on Turner Street after you pass St. Mary’s health facility. The campus is about ½ mile ahead on your left. Commuter students and visitors do not need a parking permit. Residence hall students must register their vehicle. Vehicles and all other personal property on campus are the sole responsibility of their owners. Off-road vehicles are not permitted on campus.